We are Alive Entertainment of New York, NY and Las Vegas, NV! We design, print, and build unique experiences, exhibits, and environments for special events. For over a decade we have been the production backbone for event planners, trade shows, agencies, celebrities, big brands, casinos, and rental vendors nationwide! Our custom fabrication capabilities are unmatched Worldwide. 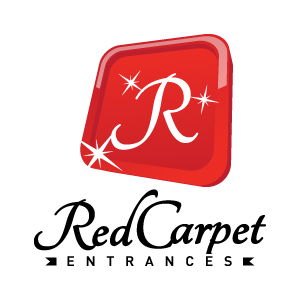 We build extraordinary red carpet entrances and VIP experiences! We cut, bind, and distribute carpet runners. We print red carpet backdrops, step and repeat banners, and stage backdrops. We distribute crowd control systems, banner stands, and trade show exhibits. Our storefront features hand-selected solutions we use as a full-service event vendor. Canvas Caddy is an interchangeable fabric graphic in an aluminum frame! Easily swap photos, artwork, or advertisements utilizing SEG banner technology. Chroma Wall is the first studio quality portable green screen. The success of this product line continues to push our innovation! We have since created the first retractable green screen and the first wall-mounted green screen available. We have also engineered the first 360 green screens and 360 photo booths. We are ready to help content producers of all types, especially Virtual Reality (VR) and Mixed Reality (MR) studios, or anyone who needs a custom green screen solution. See more on our virtual reality products via virtual reality green screens page. More chroma key green products in development, including a VR Cube / portable VR studio. Let us help you build the perfect capture environment! We print custom green screen fabric, custom photo booths, and build tension fabric displays for productions of all types. LED panels for concert stages, casinos, venues, and storefronts. Grand Format Printing - XXL sizes up to 16FT seamless on fabrics & vinyl. Highest quality HD machines ONLY. UV Reactive Printing - Proprietary black light reactive printing. Essential for Vegas Nightclubs, Casinos, and Entertainment properties. Flooring, Walls, Pool Decals, etc. Green Screen Printing - Chroma Key fabrics and custom green screen structures. Inventors of 180 Green Screen, 360 Green Screen, and Green Screen Flooring. Magnetic VR Cube - World's first extremely versatile 10X10X10 VR Green Screen Cube. Rentals & Purchase available. Epic Turnaround - Ridiculously fast production turnaround capabilities. 24hr HD Vinyl & HD Dye-Sub Fabric printing. (3) week complete custom fabrication from scratch. Broker, Re-Seller, & Manufacturer - Access to the newest and highest quality machines, raw talent, and production processes in the World. With thousands of vendors out there, we truly appreciate you considering our team for your next execution! We prioritize and respond based on your special event date / deadline. If you want an immediate call-back, ASAP, leave a message at 1-800-319-1253. Please provide us quantities, dimensions, budget, timeline, contact person(s), addresses / locations, product links, or an itemized list of how we can help? We prioritize contact with customers based on this in an attempt to help everyone up to the last possible second.